Sadio Mane has become the 56th player to score 50 goals for Liverpool with his brace in their 4-1 win over Burnley at Anfield stadium on Sunday. The 26-year-old Senegal international joins Egypt’s Mohamed Salah in the elite list of players to have reached the goals milestone with his efforts in each half of Sunday’s Premier League encounter. Mane gave Jurgen Klopp's men a first-half lead in the 29th minute after Roberto Firmino's 19th-minute effort cancelled out Ashley Westwood's opener for the visitors. After the restart, Firmino extended the dominance with his second goal in the 67th minute before Mane wrapped up the win with his 16th league goal of the season shortly after Johaan Gudmundsson pulled a goal back for Burnley in the stoppage time. 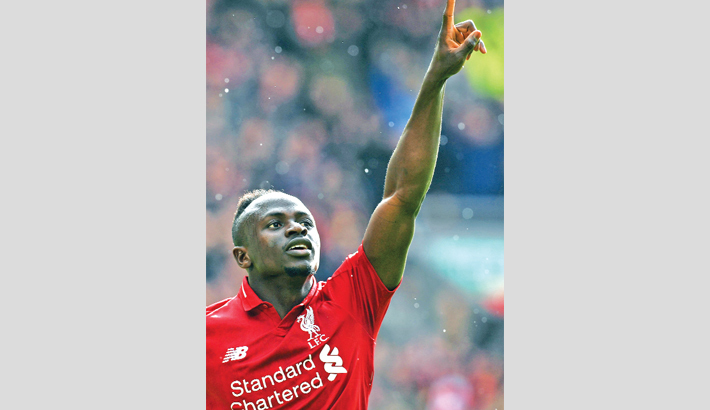 Sunday’s efforts at Anfield makes the Senegalese star the fifth Liverpool player to score in six consecutive Premier League home appearances.